Can you only purchase rental car insurance from rental car companies? Occasionally you may feel as if your entire working life is defined by a single event each year—vacation. Taking a vacation is one way of reminding you of the reason for working so hard all year round, but you should plan in such a way that you get the most value for your money. 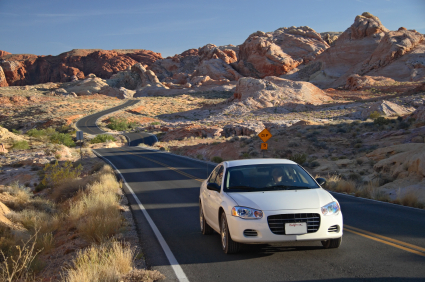 It’s simple to forget about rental car insurance when budgeting for your vacation. So if you don’t want to arrive home from your holiday with a car repair costs that competes with the cost of a holiday abroad, consider purchasing rental car insurance or at least finding out whether you already have adequate protection from other sources. Will your current car policy cover it? First things first, contact your insurance agent. They can tell you what coverages you have for rental cars on your current auto policy. You need to be sure to have something to protect yourself in the event of an accident, theft, and vandalism. This coverage should include protection for damage to the car, as well as also property damage and bodily injury. Will your credit card cover it? Secondly, check with your credit card company. Many credit cards offer special protections for their clients when they use the credit card to pay for their rental car fees, check if yours does. When you do, make sure to ask about any special restrictions in order to obtain the insurance coverage. Will you be the only one driving? Lastly, you need to make sure that the other drivers have the same coverages, because your personal insurance and credit card protection might not extend to other individuals who are not named on your credit card or auto insurance policy. By managing the advantages offered by both your credit card and your auto insurance policy, you could avoid the expense of rental car insurance. But if there are any gaps in the coverages you get between the credit card and auto policy, make sure you try to fill it with the insurance offered by the rental car company. This way you can spend your vacation relaxing and enjoying yourself rather than fretting about possible damages and expenses. Call us to talk about your car policy or get a free car insurance quote in Texas by calling (254) 547-2381.